Vanilla is a spice or condiment very used in the gastronomy especially to elaborate desserts and preparations of sweets. The vanilla pod is also used for medicinal purposes which can be used in natural form or in essential oil. 1.- Put in the saucepan three tablespoons of sugar and three tablespoons of water. Mix and bring to the heat. Move the saucepan from time to time and, when it has the desired golden color, pour the caramel in the flanera where you will make your custard. Move the mold to cover all corners of the base. If you prefer, you can also distribute it on the walls. Reservation. 2.- Pour the warm milk into a bowl. Add three tablespoons of sugar (50 g) and mix with a spoon to dissolve. Milk warm, not hot. Incorporate the eggs and a spoonful of vanilla essence (you can use if you prefer vanilla pod or vanilla sugar). Mix everything well with a blender or with rods. 3. Pour the mixture into the flannel that you have caramelized. This flan is small and you can double or triple the amounts if you do it in a larger mold. – Put some water in the quick pot. About two centimeters in height. Bring the flan to the pot and cover the flanera. If your flanera has no lid, place a dish upside down to cover the flan. This will prevent water from falling into your vanilla custard. Cover the pot and light the fire. When the pot reaches sufficient pressure and raise the pressure indicator, lower the heat and leave it for three minutes. After three minutes, remove the pot from the fire and let it lose pressure. The indicator will go down and you can open it easily. 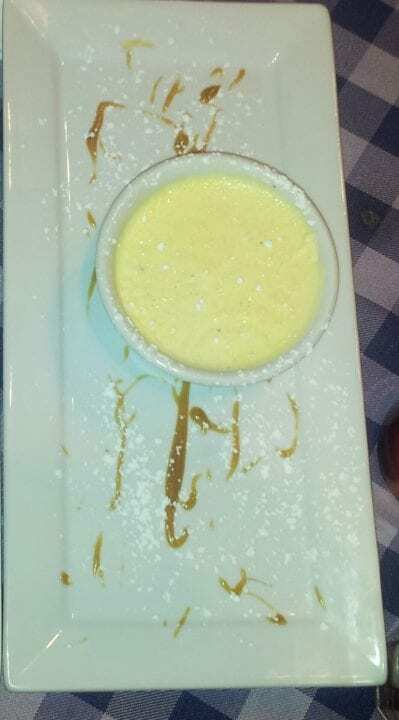 6.- Remove the vanilla custard from the pot and let it cool to room temperature. Once it is cold, cover with foil or foil and take it to the refrigerator. Leave it until completely cold. I usually leave it all night, but with five or six hours may be enough. 7.- After the hours of cooling, take off the edge of the flan of the flanera and cover with a dish face down, as I indicated in the video. If you find it hard to fall, make a few quick right moves and fall with ease. You can serve it by decorating it with candied cherries and a mint leaf.